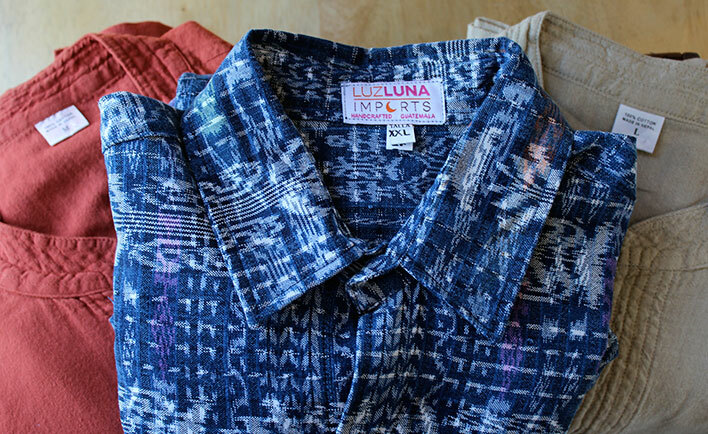 LuzLuna carries unique clothing items—perfectly suited to our casual coastal lifestyle—for all members of the family. 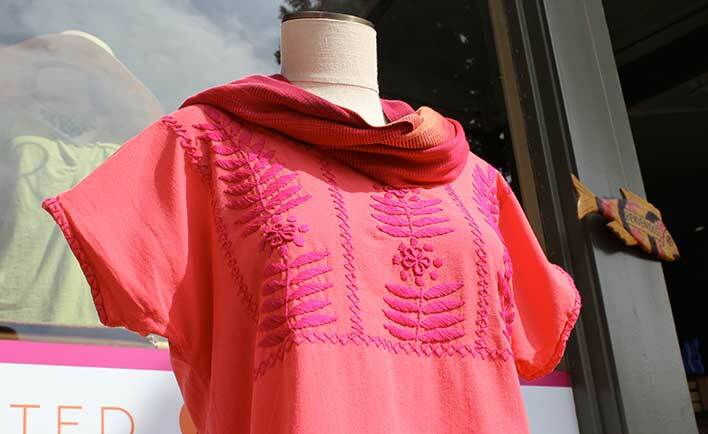 LuzLuna offers men’s, women’s and children’s clothing from all over the world. We have many styles beyond what you see below, and a variety of sizes. Our selection is constantly evolving, so come in often to see the latest. 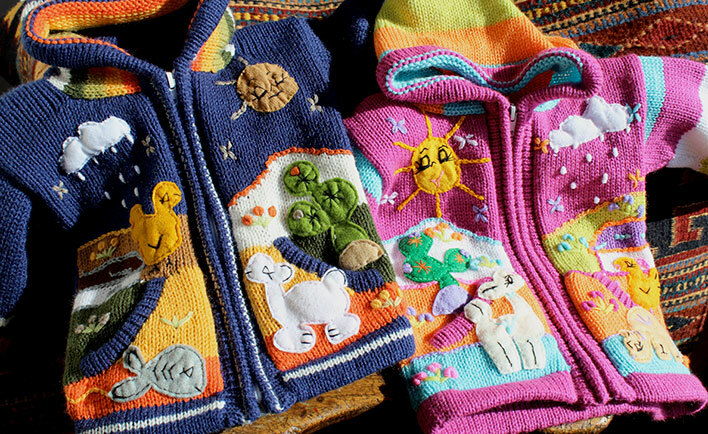 These adorable, detailed sweaters are perfect for the little ones in your life. Ask them to make up a story to fit the pictures! 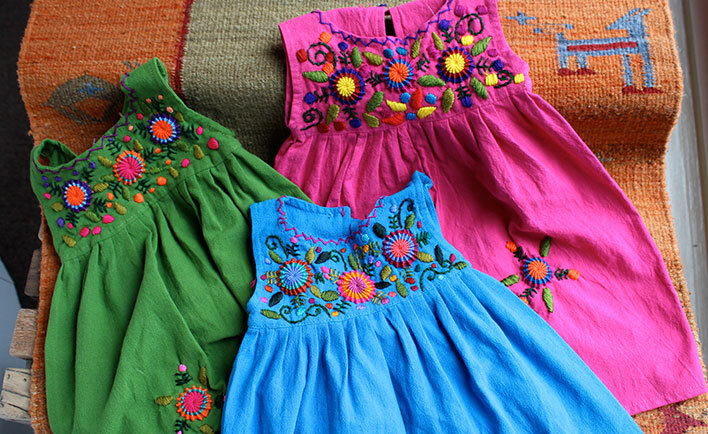 These vivid cotton dresses are the epitome of girliness. They feature hand-embroidered flowers and make a great gift paired with one of our monogrammed coin purses. LuzLuna carries lightweight tunics in many colors and styles. Made of soft cotton, many feature hand embroidery and are perfect layered with one of our casual scarves. 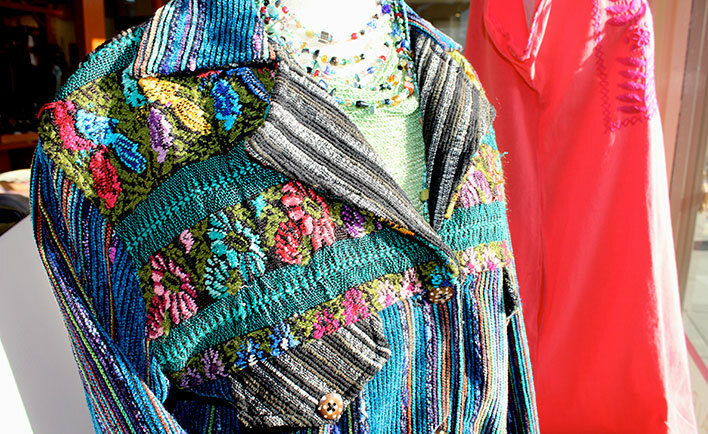 Hand woven and embroidered, these jackets are a beautiful barrier against the fog. Pair them with some of our seed-bead jewelry. Our men’s clothing includes these handsome “Corte” shirts, made from soft cotton thread hand-dyed, hand-woven and hand-sewn by a Mayan family in Guatemala. Look for the LuzLuna tag inside! 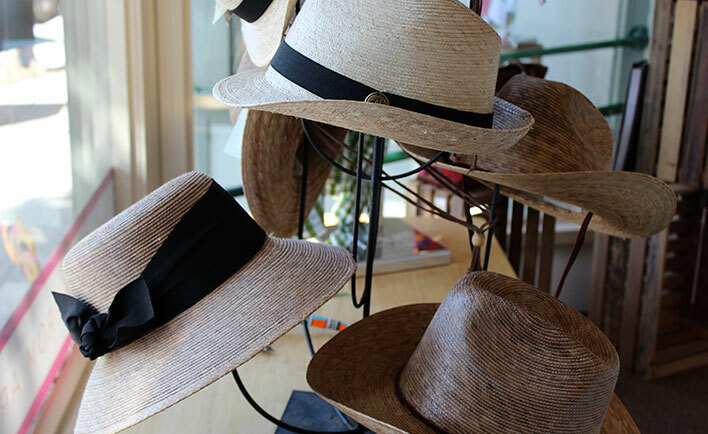 Our hats are made from the natural fibers of the agave plant, which has a lovely ivory hue—beautiful on its own or shaded with natural-pigment dyes.